A couple of months ago, I received an enquiry from a guy in London who wanted a Christmas quilt for his grandfather … “I’d like a bed quilt for my grandfather who is almost 90 years old”. What a wonderful idea for a unique present, I thought – yes, I could make a quilt for his grandfather. We had a chat and decided not to have an actual farmhouse on the quilt, the fabrics would work together to create the storytale of rural life – I had a free hand to choose. Yay! A visit to the amazing Country Threads Patchwork in Bath – we had a jaunt there for a couple of days in early December, as a bit of a pre-Christmas treat – and Jan’s fabrics, as always, held all the answers. 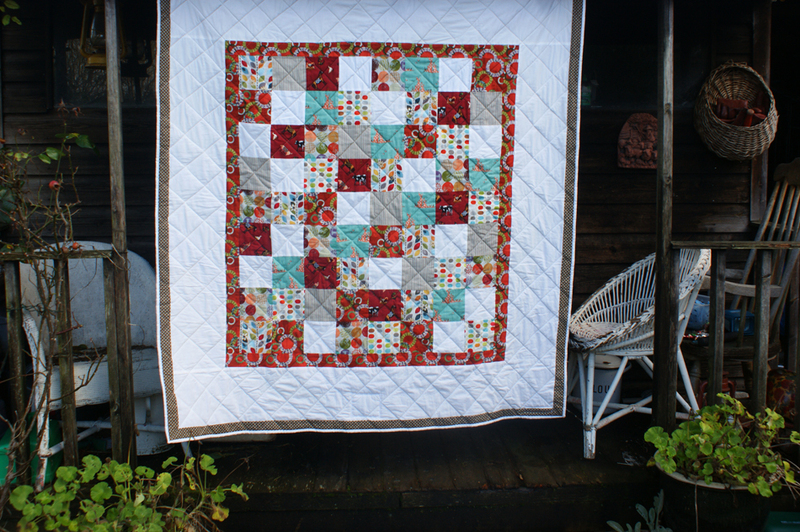 I chose a palette of soft russets, with some touches of olive green and blue (there was a duck pond at the farm) and my favourite white cotton for the patchwork top. Taupe fleece, sage polka dot for the border and a name label would all work together to create the quilt. 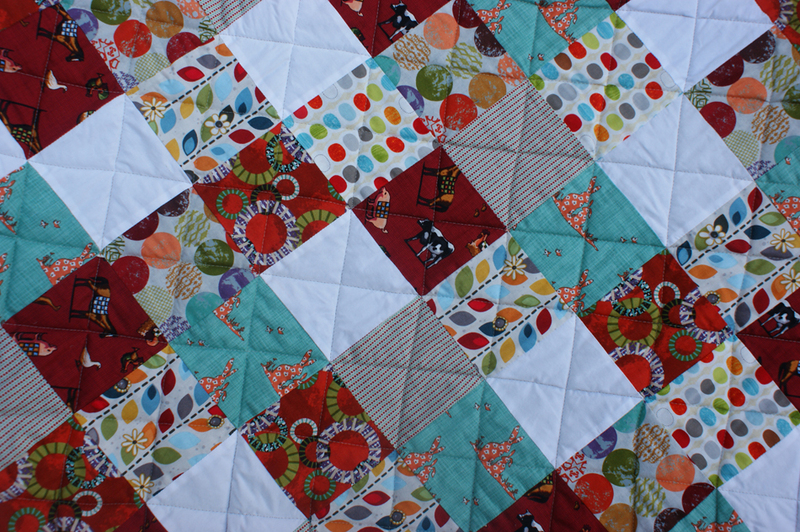 I love making quilts, as you may have realised if you’re a regular reader! 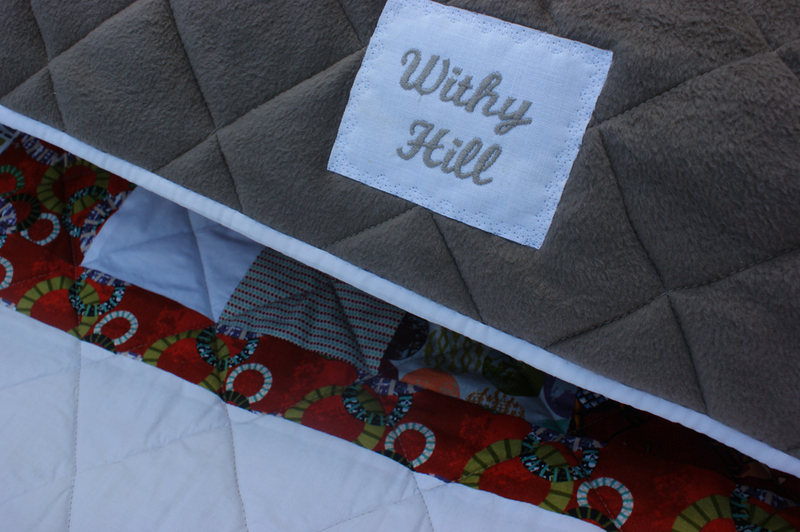 I particularly love creating special quilts, taking ideas and turning them into an heirloom patchwork. I’m currently working on another special quilt – one for us at home this time. It’ll be the project that sees me from one year to the next. I think it’s going to be called ‘On a cold and frosty morning’ and will include my favourite Scandinavian colour palette! It’s beautiful! It sounds like he and his grandfather were both really touched. What a special item! 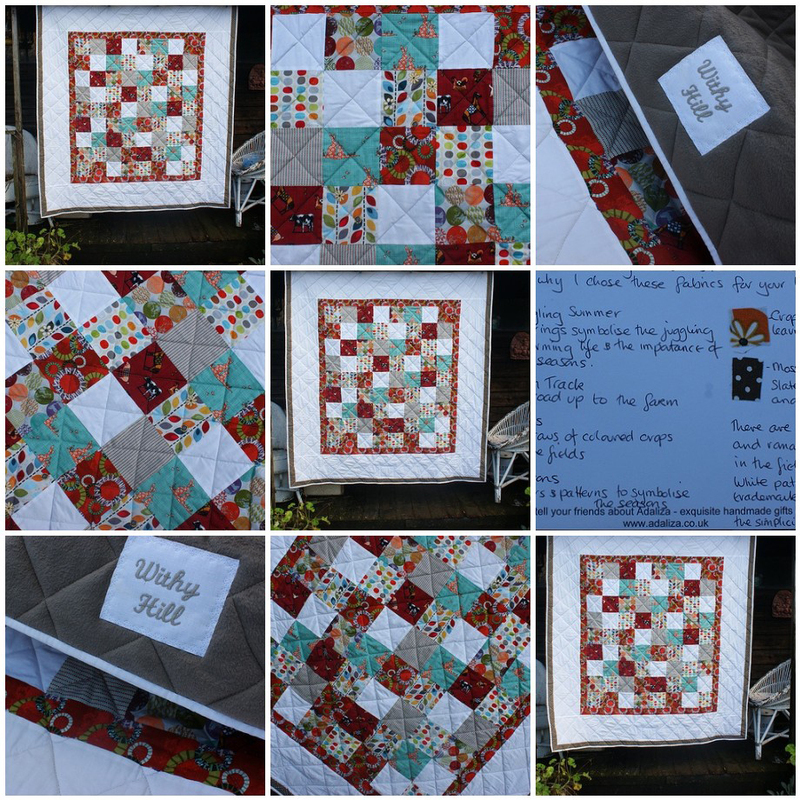 Thank you for popping over to my blog – yes, it was a very special quilt and I really did love creating it. 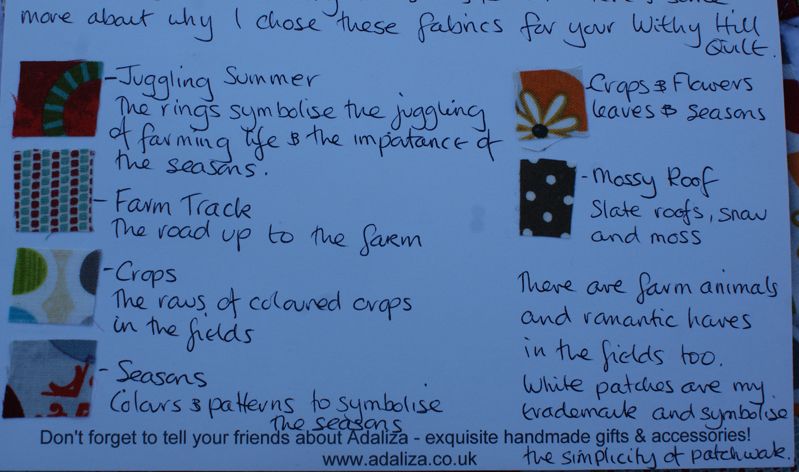 You are currently reading A very special quilt commission … at Adaliza.